A consultation published by Defra today sets out four options to achieve more widespread and consistent reporting. Businesses and investors are being asked for their views on the most effective way to improve the reporting of greenhouse gas (GHG) emissions by companies. Defra research has shown that reporting emissions has helped companies achieve reductions and cost savings, increase interest at board level of environmental issues and improve their environmental image with clients and investors. “We want to see more businesses reporting their emissions, but a balance has to be struck to ensure we are not adding any unnecessary burdens. “Our aim is to increase the number of companies which actively manage and report their emissions, so we want to hear from businesses how they think we will achieve more widespread and consistent reporting. The Climate Change Act requires the government to look at introducing regulations requiring businesses to report their emissions. The consultation sets out three different options for mandatory reporting and one option for voluntary reporting. Defra is gathering views from businesses and other interested parties prior to taking that decision. 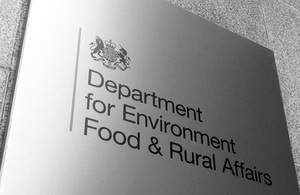 Defra will consider the responses to the consultation alongside other considerations such as the potential impact on business of each option, the government’s drive to reduce regulation where possible, and the review of current evidence which was published in November last year. The consultation closes on 5 July 2011 and a decision on the direction the Government will take is expected to be made in the autumn. Section 85 of the Climate Change Act requires the Government to decide whether to make corporate green house gas reporting mandatory by April 2012.